Munster's Pro14 play-off hunt sees them travel to face an in-form Benetton in Italy. It's a busy period for Johann Van Graan's outfit, who are second in their conference and have a Heineken Champions Cup semi-final coming up on 20 April. Where to watch Munster vs Benetton? The game is live on Eir Sport 1 extra for the Eir Sport app. It is also available on Facebook and Twitter. The other Irish province playing on Friday night, Ulster, will be live on Eir Sport 2. That game kicks off at 7.35pm. We're LIVE on the eir sport Facebook & Twitter pages for Benetton v Munster tonight and we want to hear from YOU! How is the table shaping up? Munster are currently second and very well placed in A. Benetton are third, just two points off Ulster in Conference B. Therefore a Munster victory would be a big boost for Ulster's play-off hopes. 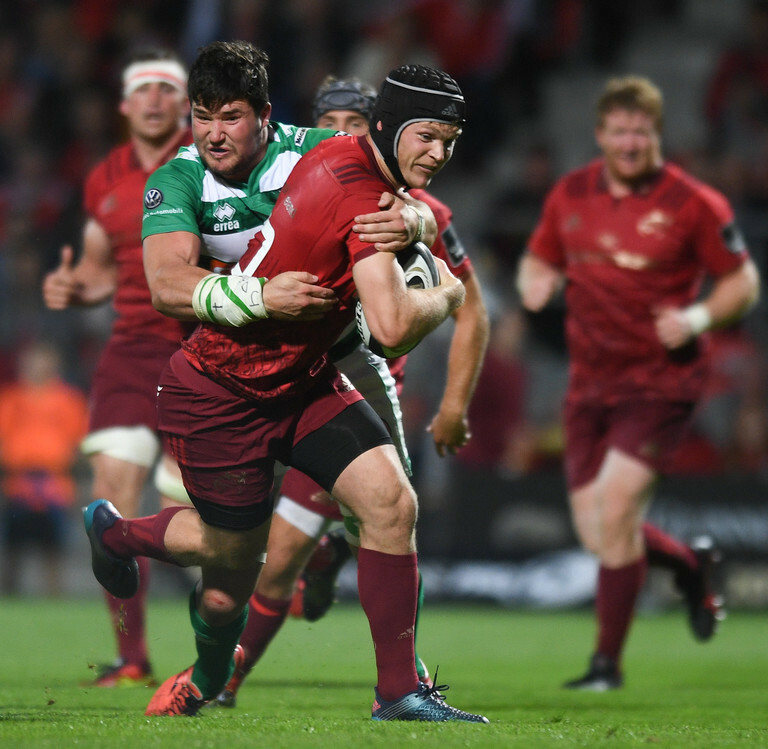 It's set to be a crucial weekend for all the Irish provinces in the Pro14. The red province have made 11 changes after their victory over Cardiff last weekend. Are Benetton in good form? The Italian club are arguably the most-improved team in the world right now. Last weekend they drew with Leinster in a strong showing. They've kept with the majority of the same team for this Friday's clash. So a reminder from those wondering where to watch Munster, it's on Facebook and Twitter via Eir Sport as well as the Eir Sport 1 extra channel. Outside of Ireland, the game is also on FreeSports and DAZN. Kick-off for the game is at 7.00pm.